Emotional Freedom Technique (EFT) forms the mainstay of Nina Bregman's Energy Therapy practice, because it is so effective. EFT is like an accelerated form of talk therapy with an added body component. By simply tapping on your body's stress-relief points (actually, acupuncture points) as you tune into the problem, you gain access to parts of your subconscious mind safely, easily and rapidly, and effect the changes you want. As you "tap away" the negative emotional charge, you'll find that EFT very effectively resolves and eliminates long-standing problems. Most people experiencing Emotional Freedom Technique or EFT report a profound easing of stress-producing emotions like anxiety, fear, anger, frustration, sadness, trauma, and even cravings. 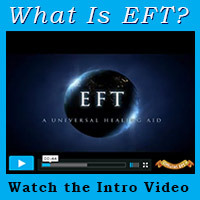 EFT is particularly effective with trauma, the after-effects of trauma (PTSD) and phobias. Headaches, body pains, allergies and breathing difficulties are just some of the many hundreds of physical problems which are successfully treated with EFT. Many people are able to go deeper into their issues as EFT peels the layers of the onion and at those levels, real transformation can take place. You may be aware that certain situations tend to upset you. It's as if we have emotional "wiring" programmed into us from prior experiences. EFT helps us "rewire" the emotional patterns within so that we are no longer triggered in painful ways. It is literally emotional freedom to feel different, lighter, less burdened by the past, less susceptible to reacting with painful emotion. Emotional Freedom Technique or EFT is a wonderful complement to other healing or stress release practices that you may already be doing, such as meditation, yoga, t’ai chi, etc. Thousands of people all over the world are now using this exciting new approach, because anyone and everyone can easily benefit from EFT. Like anything else, EFT works best for those who have been trained how to use it most effectively. 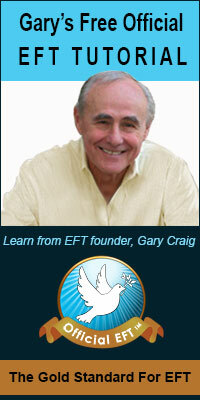 I strongly recommend the excellent training videos made by the founder of EFT, Gary Craig. Gary's sincerity and generosity of spirit shine in these videos, while his commitment to helping people inspires, every time we watch and re-watch his training videos. You can get a taste of EFT from Gary in this EFT Tutorial Video by clicking on the link below or the picture of him on the right. Important Note: While Energy Therapies such as EFT and TAT have produced remarkable results for many people, they must still be considered to be in the experimental stage, and they may not work for you. While excellent results are typical, no guarantee of results is either stated or implied. Those who say it cannot be done should not interrupt those who are doing it.